After the success of our collaboration polish Soul Within Me Burning, from the inaugural Color Box, Amy and I decided to make a few more polishes inspired by Edgar Allan Poe's poem, The Raven. 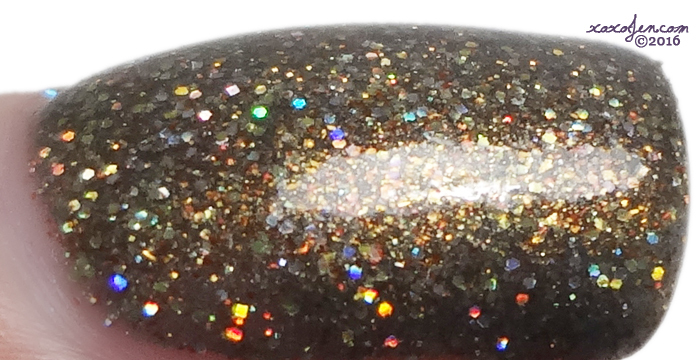 The design of my collaboration polish came from a franken I made many years ago which was inspired by looking through my bathroom picture window at night. 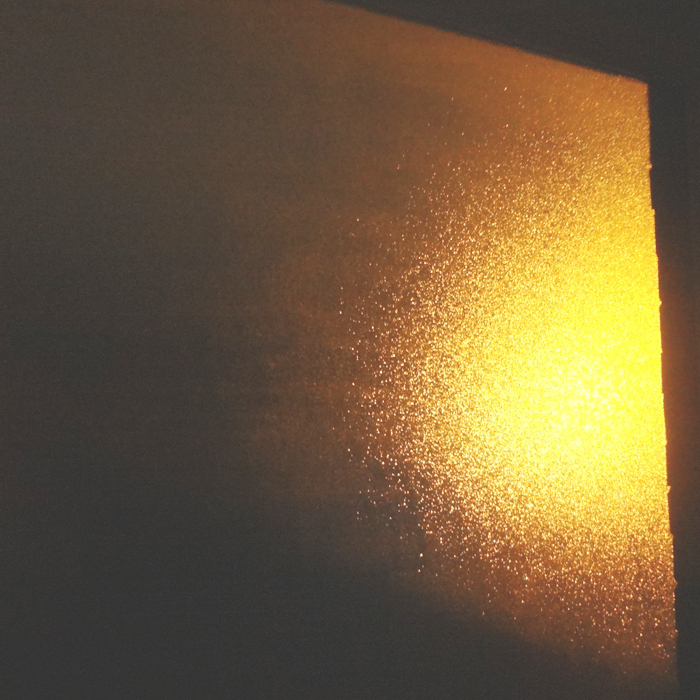 It's one of those textured glass windows and through it the orangey streetlight looks like glitter against the blackened night sky. Below is my best attempt at capturing it. The name of the polish comes from the following section of the poem. I chose it because this is the section where he gets up to look out the window. 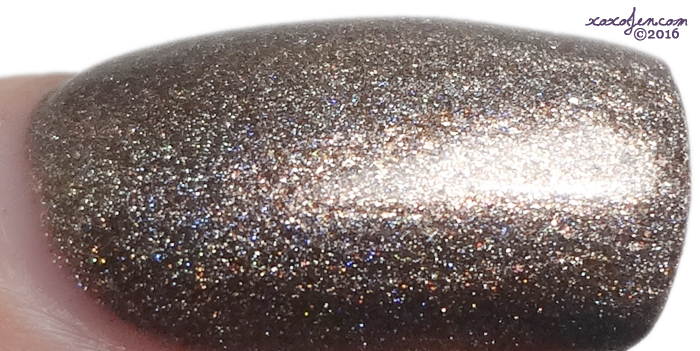 And This Mystery Explore - A smoky grey crelly packed with holographic copper and orange holographic microglitter and shimmer. 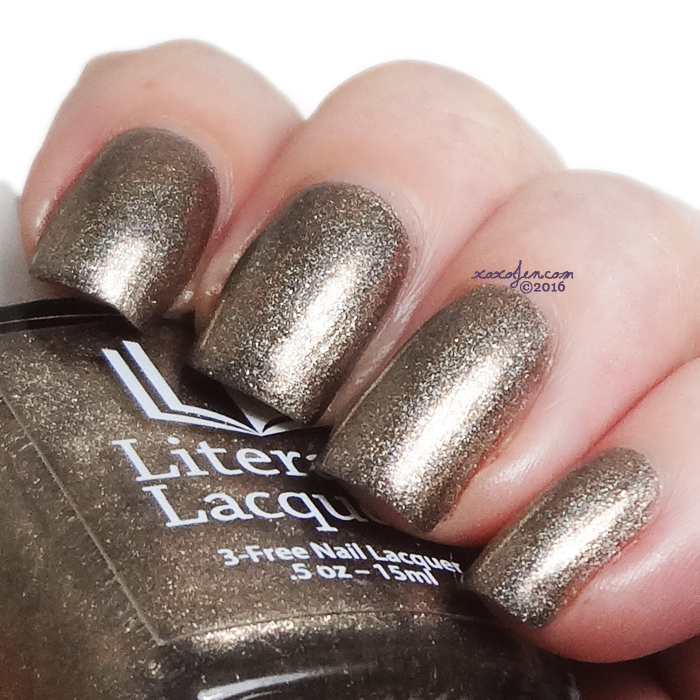 I wore two coats of this polish with a topcoat. It is super sparkly and rainbow glitter filled! The polish is quite smooth to the touch before topcoat. 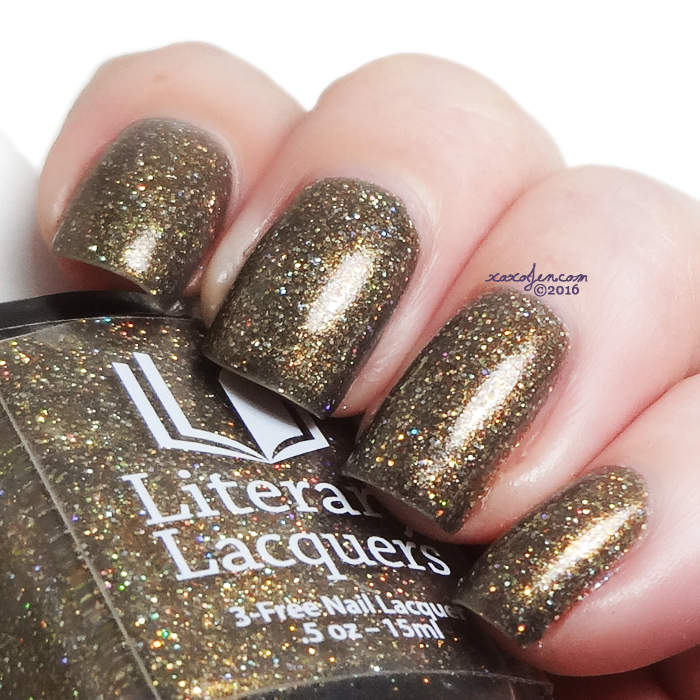 Sweet Lenore - A bronze metallic linear holo with just a touch of grunge. I wore two coats with topcoat. If applied in a heavy manner one coat just might do it. 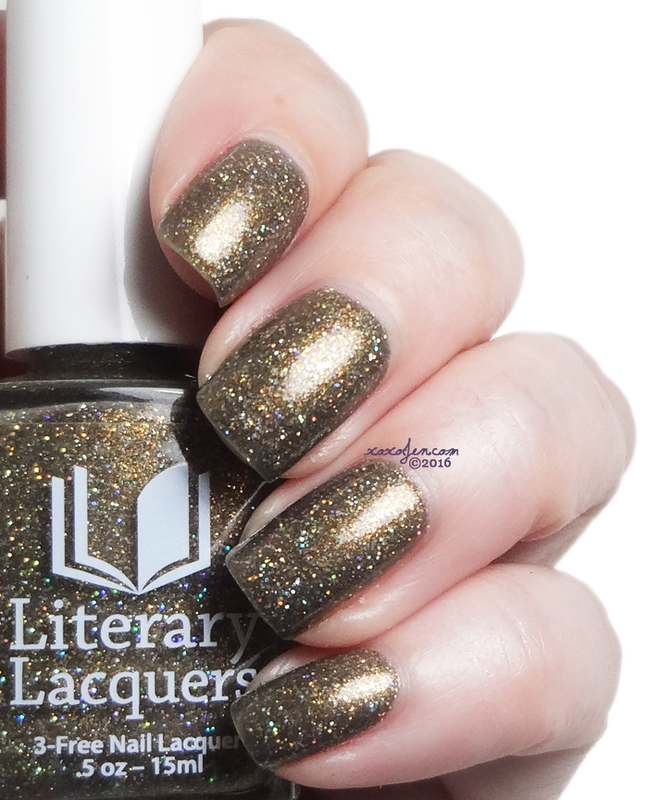 Amy designed this polish and it's name is derived from the eight mentions of Lenore within the poem, each of them implying that she is 'sweet'. 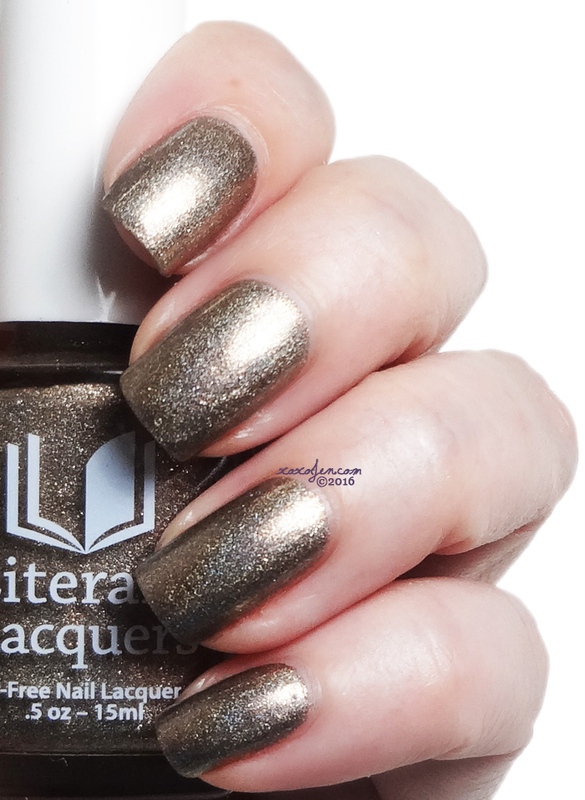 Each of the polishes will release on October 17 at 1pm Central time. The polishes are looking really nice.